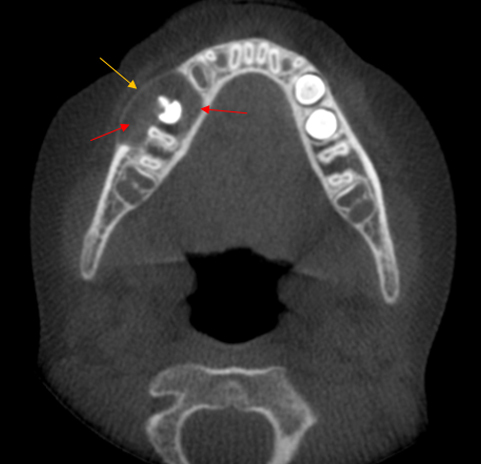 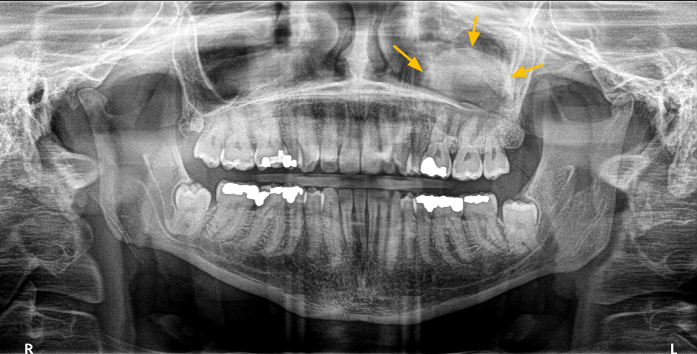 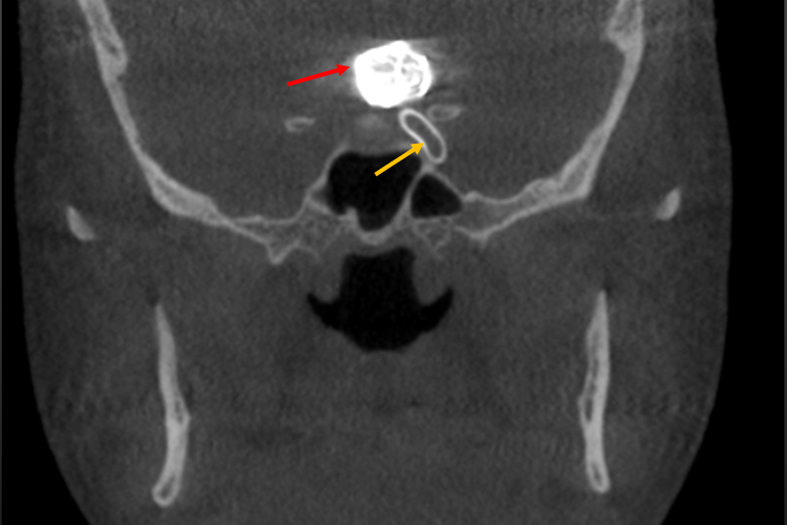 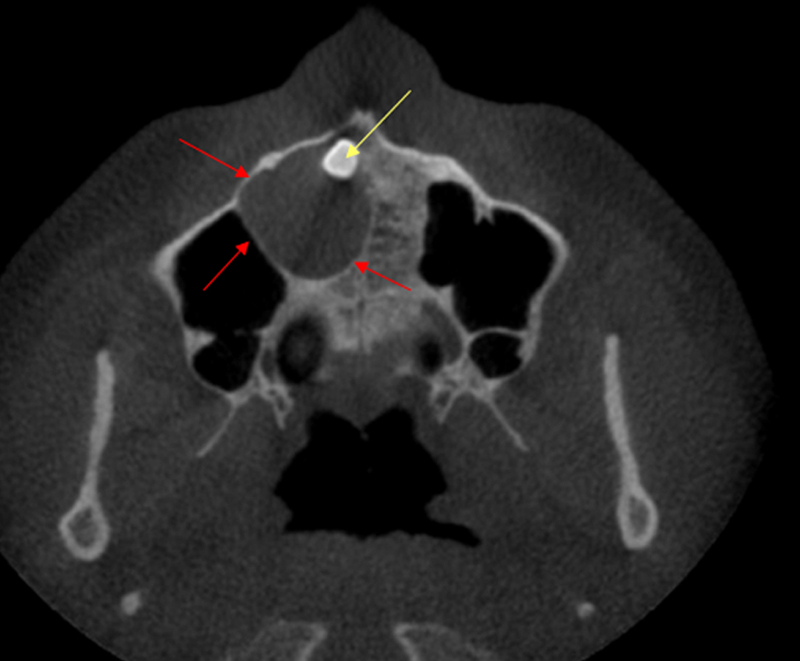 Panoramic Reconstruction from a CBCT: Dentigerous Cyst (outlined in red arrows) associated with a Mesiodens impacted in the right maxillary anterior region (Yellow arrow). 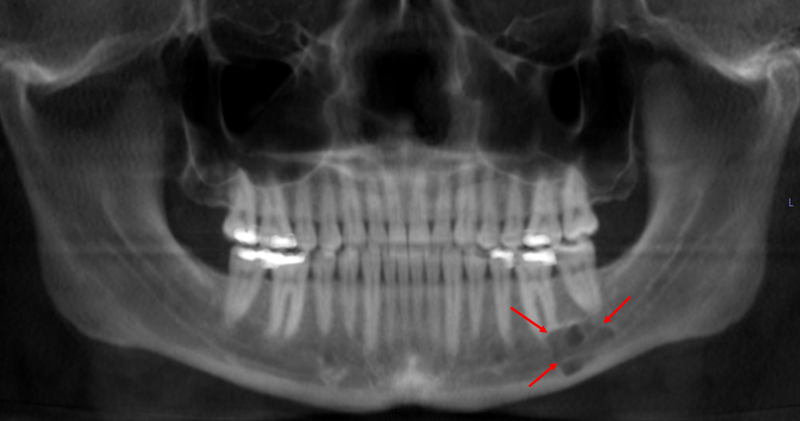 Parasagittal view: Dentigerous Cyst (outlined in red arrows) associated with the impacted mandibular right third molar. 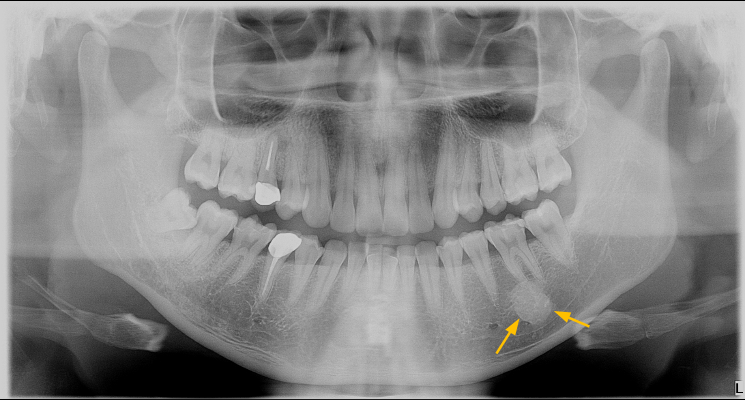 There is early resorption of the mandibular second molar. 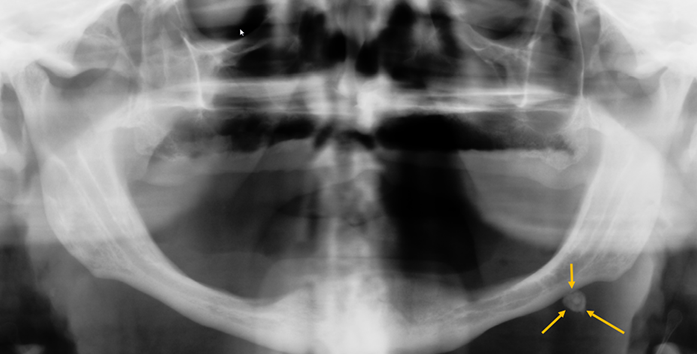 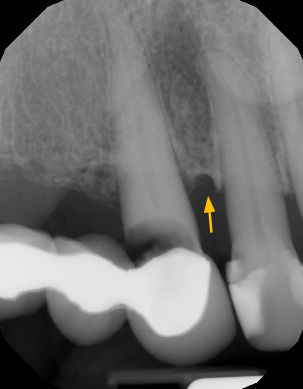 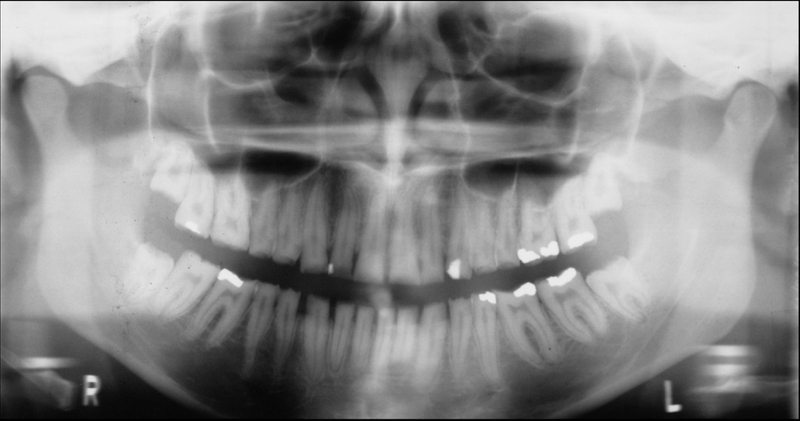 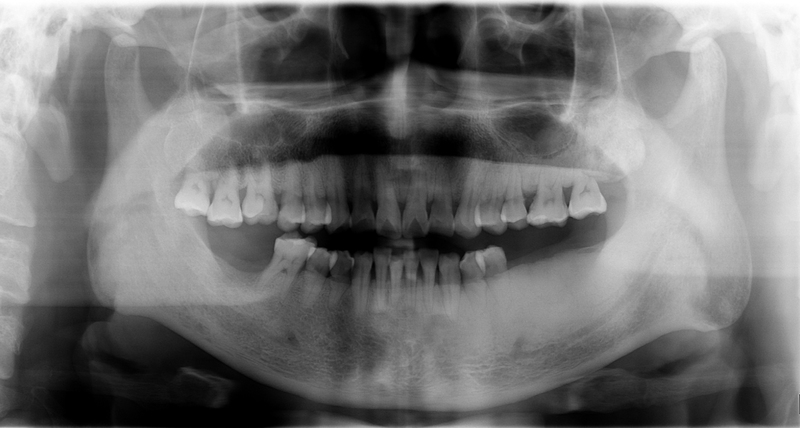 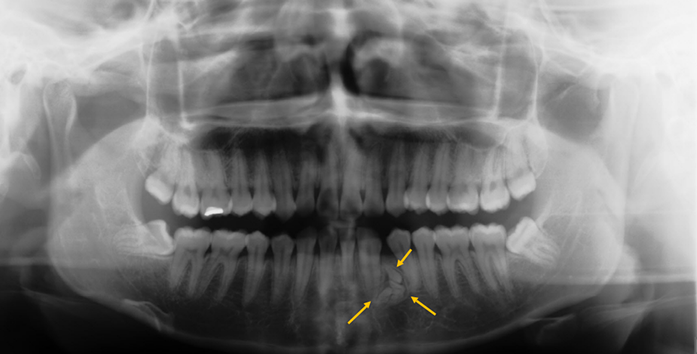 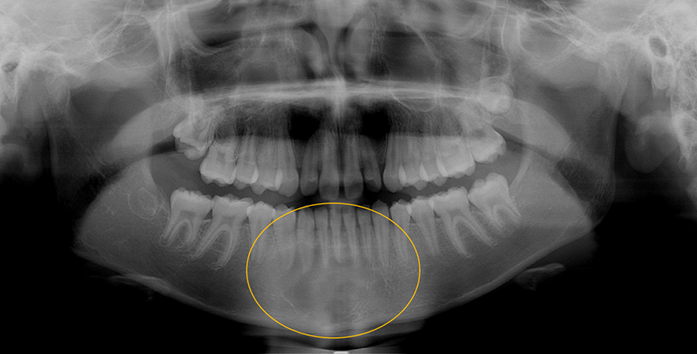 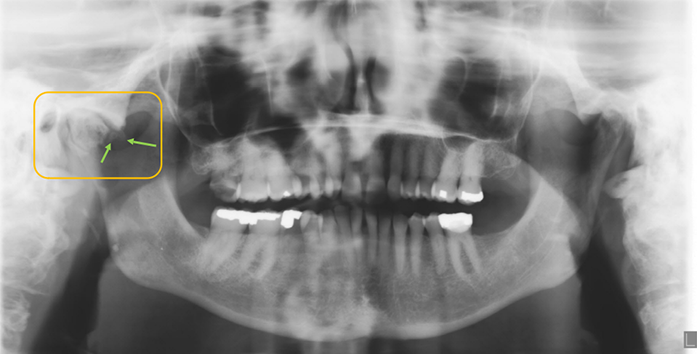 Pantomograph: Shows a radiolucent area (cyst) around the crown of the mandibular right second premolar. 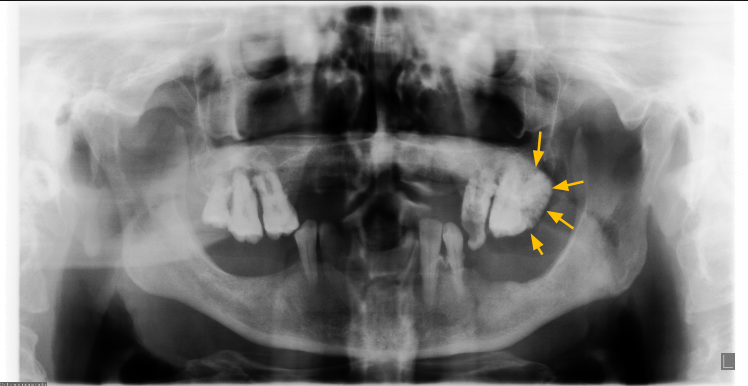 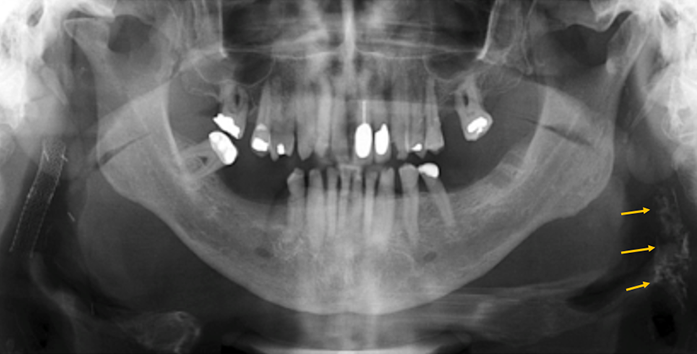 Panoramic image from CBCT: Shows a radiolucent area around the crown of the mandibular right second premolar. 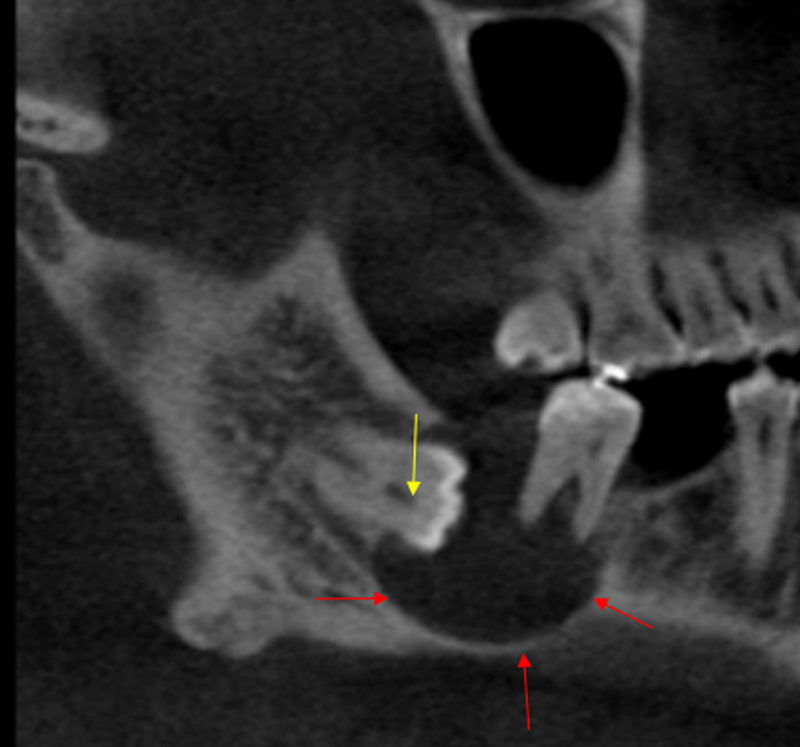 MPR views(axial, coronal and sagittal) showing expansion of the cortical borders and relationship of the cyst and adjacent teeth and affected tooth.